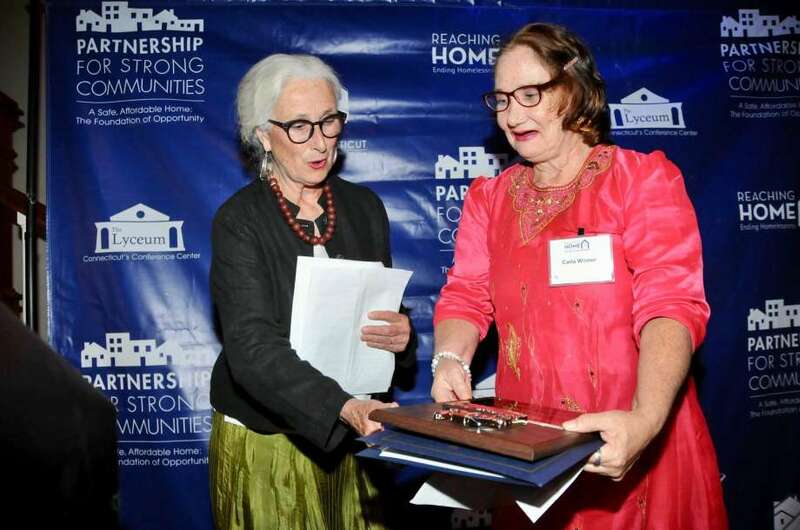 Carla Witmer, Middletown resident who has been housed for years and now advocates for the homeless, and St. Vincent’s Lydia Brewster who serves on the Middlesex County Community Care Team, were given awards by the Partnership for Strong Communities. Partnership for Strong Communities is a nonprofit organization dedicated to ending homelessness through policy and advocacy work. The recent Reaching Home Housing Awards Dinner celebrated the collaborative successes of Connecticut’s housing advocates, leaders and organizations. Carla and Lydia, along with other recipients were recognized at a ceremony at Anthony’s Ocean View in New Haven June 14. Read more.